Special Forces VR is a cross-platform multiplayer VR shooter for Vive, Rift, and PSVR. The great thing about this title it is support for a wide range of VR gear like the PlayStation Aim gun controller, haptic suits and more. In the game, you get to choose a side, either the terrorists or military faction. Both teams will be pitches against each other in a wide variety of games modes. VR Visio Games is aiming this game towards the e-sport market. Coming soon. Close beta in September 2017. Special Forces VR is an upcoming cross-platform multiplayer VR FPS with modern military settings, which will be released for HTC Vive, Oculus Rift, and PSVR headsets. Bring a cross-platform shooter is one of the main reason this game got my full attention. I think that all VR platforms can benefit from it because you get a large player-based to play against and it can open up a big scene for e-sports where all platforms are involved. 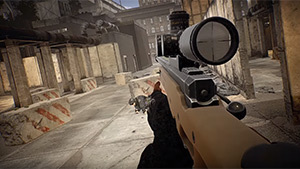 Special Forces VR will play quite similar to games like Counter-Strike and Rainbow Six, which is not about spraying bullets all over the place, but about learning the map and apply tactical thinking with your teammates in order to succeed. In the game two teams, one the military special forces and the second are, not surprisingly, the terrorists, are pitched against each other in different game modes like rescuing hostages, neutralizing a bomb and more complex scenarios that will require the team to coordinate, understanding the environment and perfectly execute their tactical moves in order to win a match. There is also a deathmatch mode that will be the one that will focus on the eSport aspect of the game. The game will also offer co-op only game modes where you fight alongside your buddies against AI enemies. 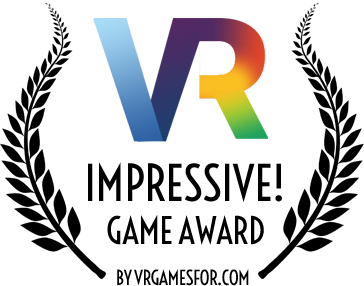 The developer VR Visio has mentioned that this game was developed with eSport in mind. The game was also developed from the ground up for VR, which means that every aspect of the game is optimized for virtual reality. It seems that the developer wanted to bring all the great game modes that we've seen on the popular titles like Counter-Strike and Rainbow Six and bring them to VR. No doubt that focusing on e-sport is very important to make such a title succeed, although it will look strange seeing players on an e-sport arena playing against each other wearing VR headsets. Another great thing about Special Forces is its wide support for a lot of virtual reality peripherals, including the PlayStation VR Aim controller, which was first bundled with the title Farpoint and provides better immersion and very precise gunplay, which is crucial for these type of first-person shooter VR games. There will be a wide support for many VR peripherals like various gun controllers, locomotion simulators, haptic suits, etc. Special Forces VR will be a game that is easy to get to but hard to master. If you played Counter-Strike Global Offensive on the PC or watch a tournament featuring this game, you probably know what I am talking about. Special Forces VR also supports a free movement and doesn't require players to teleport to a designated location. This is a feature that is asked by many users in other games. The reason some developers haven't implemented it's because it can lead to motion sickness for many players. According to the dev video (which you can watch below in the video section), the dev team at VR Visio Games have applied various technique to reduce the occurrence of motion sickness that this free movement locomotion can cause. The game was developed using Unreal Engine 4, which ensured photo realistic rendering, compared to the triple-A titles according to the devs. Special Forces VR will be released in closed beta in September 2017. It will be interesting to see what this game will shape out to be. There is certainly a huge potential for this type of game, especially considering its e-sport orientation, VR gear compatibility, and cross-platform gameplay. September 19, 2017Special Forces VR coming to HTC Vive and Oculus Rift on December 22, 2017.